80 • August 2018 • S I G N & D I G I T A L G R A P H I C S This month's interview is with Brian Phipps, president of digital printer manu- facturer Mutoh America Inc. You've been president of Mutoh America for more than two years now. What has been the biggest challenge you've faced in that time? To be promoted to President of Mutoh America Inc. (MAI) by our parent company in Japan was quite an honor. MAI is responsible for selling wide- format products to the Americas, so it is quite a large responsibility. I have been in a leadership role here for many years as GM and VP, so the transition wasn't all that difficult. The best part is that I can make deci- sions quicker to adapt to customers' needs and changing market conditions faster now. One challenge is wanting to make sure I am making the right decisions for the company and not making any mistakes. Of course, we all worry about that, but I do feel the added responsibility as the MAI President. The digital printing industry has come a long way in the past 20 years. What do you think has been the biggest technological development to affect our industry? Certainly the quality of our printers and the products on the market today are better, faster and less expensive than when I started in the industry 24 years ago. But for me the biggest changes over that time and some of the most exciting is the increased applications available now for doing digital printing. The ink and media choices available today are astounding. From vehicle wraps, to printing on rigid and specialty products, to fabric for doing home décor, fashion, sportsware or soft signage, the applications available for digital printing seem to be endless and only limited by your imagination. We didn't have all these awesome choices 20 years ago. What are the main things your customers are looking for in a digital printer these days? For us here at Mutoh it seems to be application driven first. Since we have more than 20 printer models to choose from, we ask what do they want to create with the printer first. From there, print service providers want to make sure they get a lot of value for their hard-earned money. They need a printer that is reliable, easy to use, and offers great service, training and sup- port. This is what Mutoh is known for and how we have been so successful over the years. What are some of Mutoh's biggest concerns in an economic climate that now frequently features talks of tariffs on foreign trade partners? It seems the political climate is always changing, and we always need to be ready to adapt. Mutoh being a global com- pany that manufactures primarily in Japan, things like tariffs can cause havoc on pricing if not managed properly. I'm a believer in free trade like many of us, so it can't be one-sided. The ultimate goal should be promoting free trade around the world so every- one is on an even playing field that we as manufacturers can win on our own merit and not because of unfair trade practices as an example. I will be watching this very closely. Hopefully with a good outcome for our industry as a whole. Where does Mutoh picture itself in the future of the digital print- ing industry, and what can consumers expect from the company in terms of growth and innovation? Mutoh has been in business innovating and manufactur- ing products since the early 1950s. Since then we have never slowed down. Every year we win industry awards for our products around the world and we are very proud of that. We introduce new products to the market allowing our partners and custom- ers to gain advantages in new markets and reach new levels of success. Just visit our website at www.Mutoh.com and you will see quite a range of innovative products with more on the way all the time. Stay tuned. So many printers are loaded with bells and whistles and all man- ner of technology meant to improve the printing process. What printer add-on over the years was a hit on the drawing board but fell flat with consumers? Fortunately for us we haven't seen any real product disasters come all the way to market. They get shot down early during the evaluation process thankfully. But I remember one time seeing a printer (not a Mutoh) at one of your NBM trade shows I think, several years back that printed directly on to a vehicle. That was quite a site to see. I never saw it again after that. Seemed to me like a very difficult process to pull off in real life. 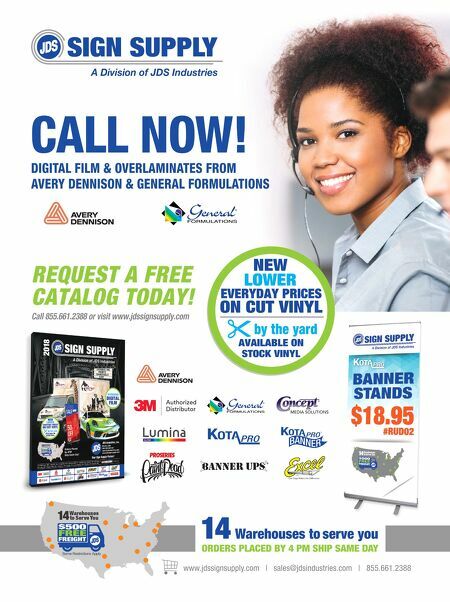 Where do you see the biggest growth coming in terms of con- sumer demand for printed graphics and marketing materials? The wrap market continues to grow and evolve in impressive ways. People are wrapping everything now, not just vehicles. It's fun to watch our customers on social media with their creative ideas. We are also seeing good growth with our wide-format dye sublimation and direct-to-textile printers and ink that doesn't seem to have an end in sight. That, along with our award-win- ning variety of UV printers for specialty printing, to our new PerformanceJet 4´ x 8´ flatbed printer that can be used in the sign market or for industrial applications. There are lots of ways for print service providers to grow their business by adding new applications to their list of offerings, and Mutoh wants to be right there to help them along the way. We offer new training courses available at www.ThinkMutoh.com to learn more. Chat Matt Chat WITH Matt Matt Dixon Managing Editor Brian Phipps Matt Dixon is the managing editor of Sign & Digital Graphics magazine. He can be reached at mdixon@nbm.com.